Outside the Box: Trick or Treat! It's October and that means Halloween. 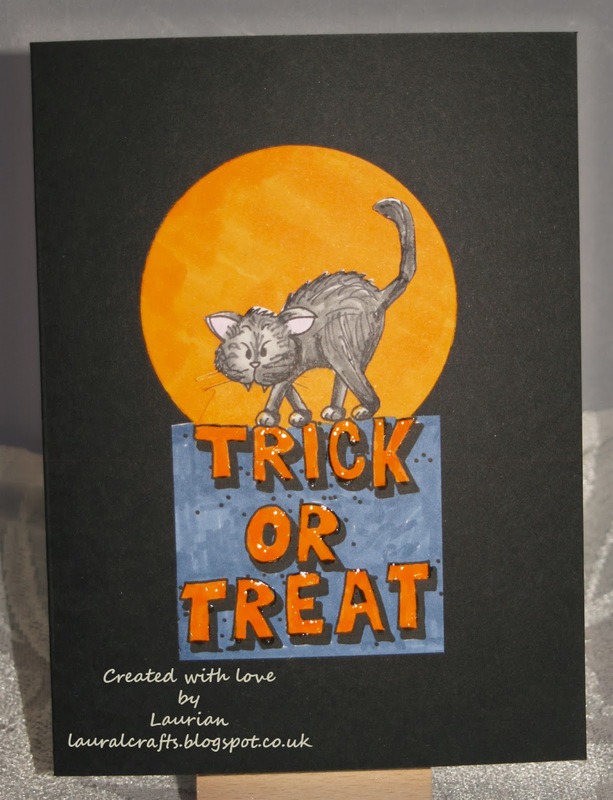 Now in the UK we have Bonfire Night but Halloween is getting a big following now so I need to get some cards ready for the occasion! Gerda Steiner has a wonderful freebie to use for her latest challenge and I think it will become a Halloween must have! Now that has to be the cutest Halloween image ever! I coloured it up using Promarkers, the words have been treated with some gloss. I cut around the cat and added the moon behind it then just mounted onto a black card - so simple but so effective! I do hope you'll all join in this fun challenge at Gerda's - it really is a win win situation - you get the image free and if you win you get some more of her cute digis - what are you waiting for!